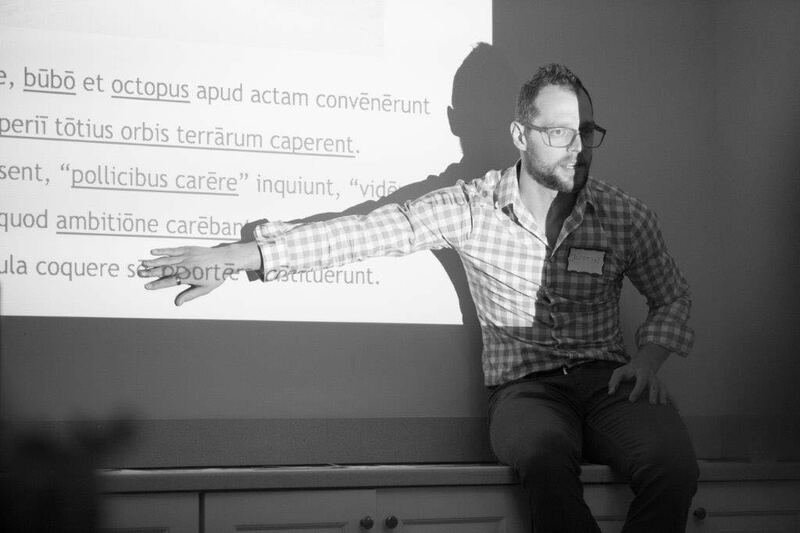 On the evening of January 28, about 30 faculty and teachers of Latin from Connecticut and Massachusetts gathered at Smith House for “Engaging the whole reader: Active Latin as a bridge between student and text,” a workshop led by Justin Slocum Bailey. 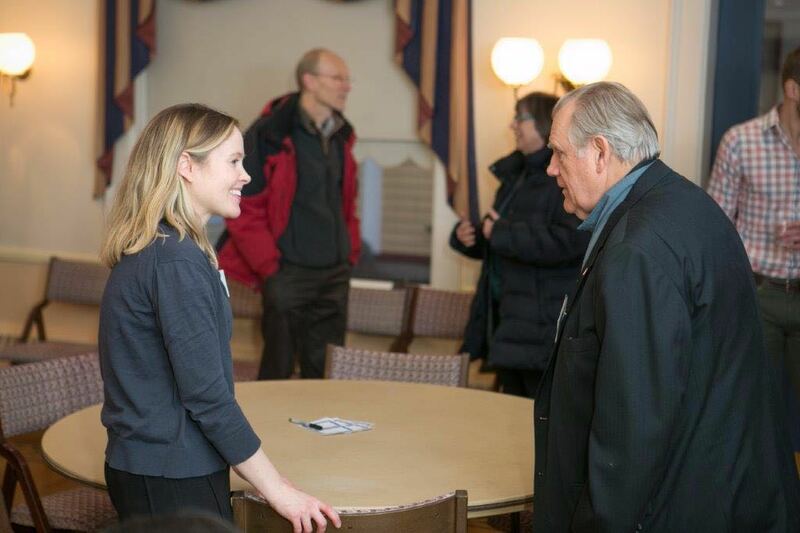 Dr. Lauren Caldwell of the Classical Studies department created and put together this event. Justin is a consultant from Ann Arbor, Michigan whose work focuses on second-language acquisition and effective teaching methods. The workshop offered ideas and resources for Latin instructors to build in to their class sessions — including staged exercises for reading Latin authors such as Vergil and Cicero, spoken Latin and conversational activities, and even sign-language methods — to create a fun and productive atmosphere for students. Justin’s depth of experience in consulting for K-12 school districts and for colleges and universities made this an informative and engaging event, and feedback from attendees has been very positive. We thank the Mellon Foundation and the Classical Association of New England for making the workshop possible, and look forward to more opportunities to learn from Justin’s creative and dynamic approach. This entry was posted in Uncategorized on March 10, 2019 by vtomasso.